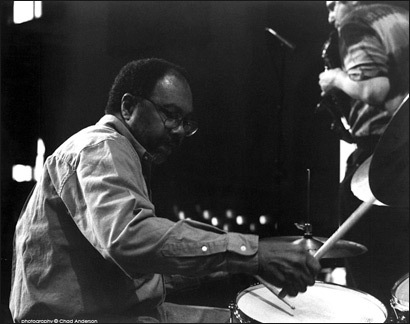 This site is a dedication to Alvin Fielder and his contributions to our lives and the music. Get Better AL! we do not live to experience death. If we take eternity to mean not infinite temporal duration but timelessness, then eternal life belongs to those who live in the present. Our life has no end in just the way in which our visual field has no limits. and I felt blessed by the forces in the universe to have met Alvin. Alvin represents human consciousness. Someone once said that human consciousness is the great miracle of evolution, and all the rest (sight, sound, taste, hearing, smell, touch) are simply a toolbox that consciousness has supplied for itself. Alvin’s human consciousness affected every being that came in contact with him. Peace, Love, to Alvin, his family, and his friends. One of the greatest drummers of all times! My favorite drummer! I love Alvin Fielder!! !